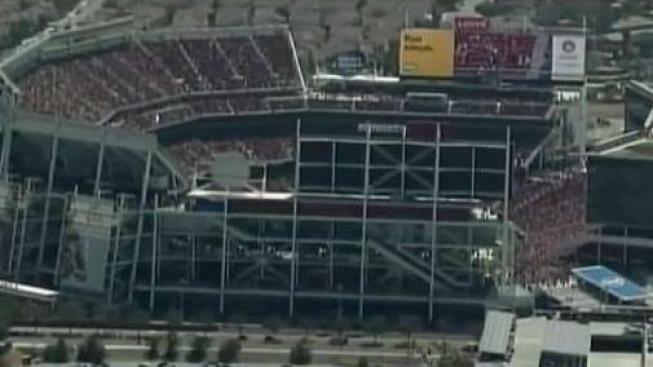 The city of Santa Clara won a major legal victory against the San Francisco 49ers in a Levi's Stadium rent dispute, resulting in the NFL team paying hundreds of thousands more per year, the city announced Sunday. Mayor Lisa Gillmor is expected to make a formal announcement about the ruling during a news conference Monday. In a legal battle that started more than two years ago with the 49ers requesting a rent reduction at Levi's Stadium, an arbitrator ruled in favor of the Santa Clara Stadium Authority and decided the team should be paying about $238,000 more per year, the city said in a release. The rent-hike figure was later corrected to $262,000. "The city is very pleased with the outcome as it is in the best interest of the city, residents and Stadium Authority," Gillmor said in a statement. "The arbitration award victory for the Stadium Authority is a complete vindication of the Stadium Authority’s decision to reject the 49ers’ rent reduction demand (in March 2016). We hope the 49ers will work with us, not against us, and see that we can be good partners if the team will work cooperatively with the public." The decision also stipulates the city will receive back pay for rent payments owed, attorneys' fees and costs, the city said. The 49ers originally had asked for a rent reduction of $4.25 million a year, a request that was voted down unanimously by the City Council in March 2016. "It’s exactly this deceptive approach, her lack of transparency and fuzzy math that make Mayor Gillmor difficult to trust. We accept the arbitrator’s decision to increase our annual rent payment by 1%. It’s deceitful of the Mayor to say otherwise. "Today’s statement from the Mayor also includes a basic math error. The Mayor stated our annual rent is increasing by $238,000 annually. That is incorrect, the annual increase is $262,000. We would hope the Mayor and her personal PR consultant, Sam Singer would have been more careful while being paid with taxpayer dollars. "The Mayor has a few questions she needs to answer at her press conference (Monday): How much public money is being used to pay Mr. Singer? Is this contract a bid or no-bid contract? Will she release the contract with all of these things enumerated at her press conference?" "Regardless of 49ers emotional reaction, the numbers are fully transparent and matter of public record: the 49ers demanded a rent reduction of well over $4 million a year. The arbitrator this week upheld the existing rent amount of approximately $25 million annually and awarded an additional amount of approximately $262,000 annually, according to our attorneys. "As to Singer Associates Public Relations contract, it is a matter of public record." The increased annual rent will allow the city to pay down debt on the stadium sooner, the city said.